Asiad Steels is one of the renowned manufacturers and suppliers of Nickel 200 Stud Bolts and Nickel 201 Stud bolts. These Nickel 200 Threaded Rods offer corrosion resistance in reducing and neutral media as well as in oxidizing atmospheres provided that the oxidizing media allows the formation of a passive oxide film. 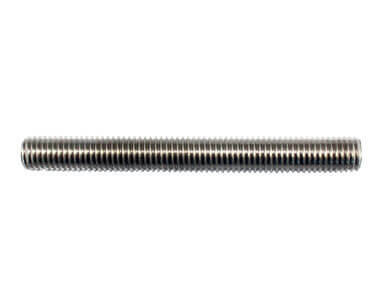 We produce all types of Nickel 201 Threaded Rods in almost all shapes & sizes. 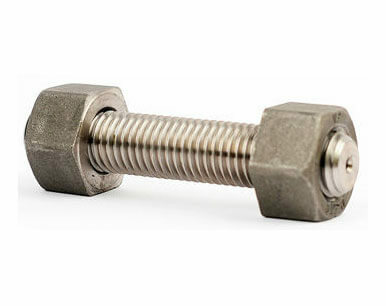 We also provide passivation in Nickel 200 Threaded Bars, quality coating further processing as per client's requirement. The length of Nickel 201 Threaded Bars, measured parallel to the axis, is the distance from first thread to first thread. Many of our industrial projects that we supply Nickel 200 Tie Rods are with many different ASTM grades. These Nickel 200 Tie Bars are manufacturing keeping in view the national as well as international standards and specifications. We offer Nickel 200 Double Ended Studs in various shapes as per the client’s requirements. Single Source for the complete combination of various products, which also include Nickel 201 Double Ended Studs, with Value added Services will save Production Cost and time as well. Offering Nickel Alloy 200 Threaded Rods, we give a commitment for a Quality Product, timely delivery, Competitive Price & for Complete Satisfaction. Widely used across several industries, our Nickel Alloy 201 Threaded Bars conform to the international quality standards such as DIN, ANSI, ASTM, BS, BIS, etc. 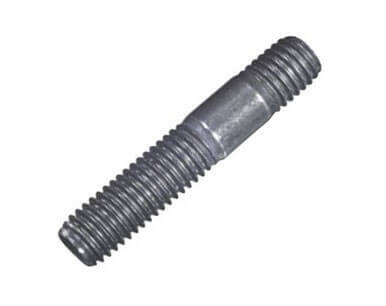 Buy Alloy 200 Stud Bolts and Alloy 201 Stud bolts at reasonable rates from us. We are Exporter of Nickel Alloy 201 Studbolt in Worldwide Such as India, Indonesia, Puerto Rico, Algeria, Qatar, Russia, Canada, Australia, Singapore, Serbia, Israel, Denmark, Chile, United States, Egypt, United Kingdom, China, Azerbaijan, Nepal, Yemen, Trinidad & Tobago,Tunisia, Saudi Arabia, Ireland, Macau, Angola, Poland, Belgium, Estonia, Romania, Hungary, Gambia, Brazil, Argentina, Mongolia, Iran, Portugal, Vietnam, Ecuador, Japan, Colombia, Malaysia, Greece, Sweden, Iraq, Taiwan, Austria, Spain, Lithuania, Switzerland, Ukraine, Nigeria, Sri Lanka, Kuwait, Philippines, Chile, Finland, South Africa, Nigeria, Kazakhstan, Netherlands, Oman, Bangladesh, Germany, Hong Kong, Italy, Bahrain, Bolivia, Slovakia, Namibia, Libya, Mexico, Belarus, Kenya, Costa Rica, Turkey, Lebanon, South Korea, Zimbabwe, Mexico, India, Peru, Tibet, Jordan, Czech Republic, Poland, France, Bulgaria, New Zealand, Thailand, Pakistan, Norway, Venezuela, Ghana, Afghanistan, Bhutan, Croatia, Morocco, United Arab Emirates, Gabon, Iran. We are Suppliers of Nickel 200 Stud bolt in India Such as Mumbai, Perth, Ernakulam, Abu Dhabi, Al Khobar, Faridabad, Ranchi, Courbevoie, Jakarta, Milan, Thiruvananthapuram, Manama, Sydney, Petaling Jaya, Sharjah, Mumbai, Howrah, Santiago, La Victoria, Mexico City, Bengaluru, Ahmedabad, Kanpur, Surat, Istanbul, New Delhi, Vung Tau, Hong Kong, Al Jubail, Hanoi, Edmonton, Brisbane, Dubai, Pune, Rio de Janeiro, Nashik, Busan, Rajkot, Ahvaz, Haryana, Chandigarh, Moscow, Madrid, Ankara, Chiyoda, Pimpri-Chinchwad, Colombo, Jeddah, Navi Mumbai, Ludhiana, Dallas, Calgary, Gurgaon, Secunderabad, Jamshedpur, Geoje-si, Seoul, Montreal, Lagos, Kolkata, Coimbatore, Chennai, Riyadh, Doha, Singapore, Granada, Lahore, Tehran, Toronto, Ho Chi Minh City, Ulsan, Vadodara, Gimhae-si, Karachi, Indore, Nagpur, Los Angeles, Bangkok, Dammam, Port-of-Spain, Melbourne, Kuala Lumpur, Jaipur, Cairo, Bhopal, Muscat, New York, Caracas, Hyderabad, Atyrau, Algiers, Aberdeen, Thane, London, Houston, Visakhapatnam, Kuwait City, Noida, Bogota, Baroda.